This plaque, among the first objects to enter the Museum’s collection, was purchased from the Centennial Exhibition that was held in Philadelphia’s Fairmount Park in 1876. 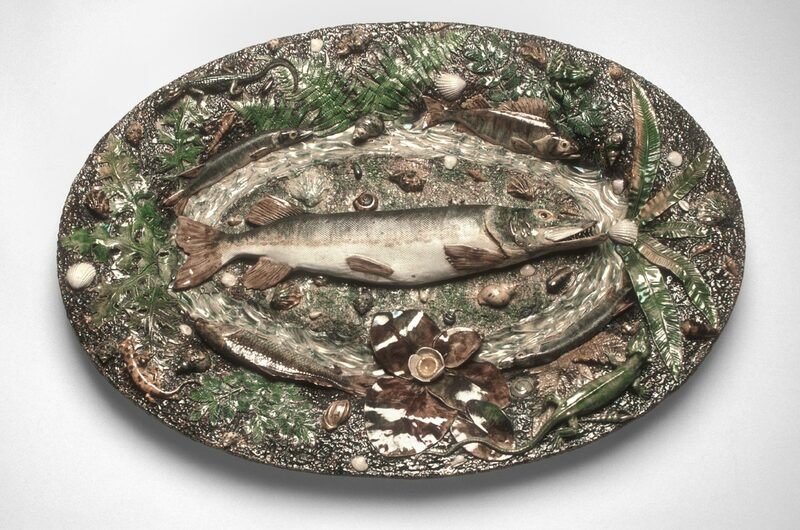 The nineteenth-century fascination with the life and art of the Renaissance ceramist Bernard Palissy (French, c. 1510-1590) was evident in the work of a number of exhibitors at the Centennial, chief among them Achille Barbizet. The Barbizet workshop specialized in Palissy-style ceramics, particularly those, such as this plaque, of a type known as figulines rustiques (rustic earthenwares).